Bill and his family are welcoming and accommodating. I am grateful for the flexibility and hospitality they extended during my stay in Siem Reap. Closer to Angkor Wat is impossible. 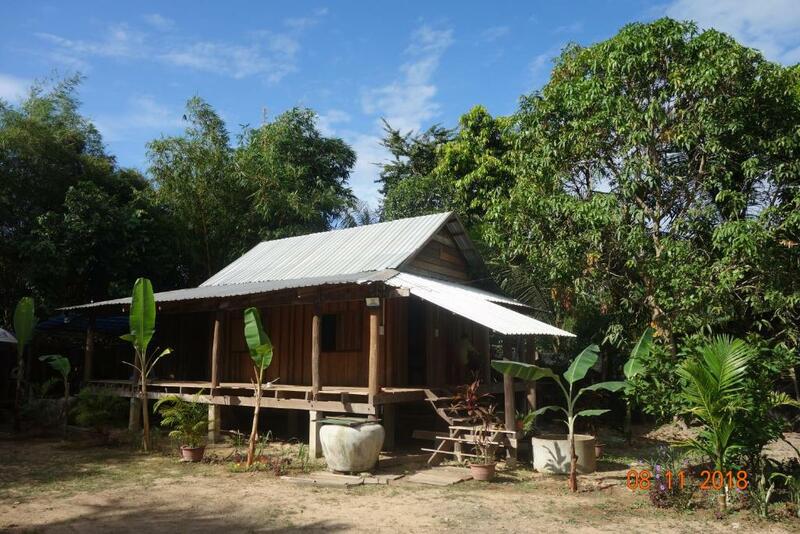 This is a very authentic Cambodian House in a neighborhood of locals and secluded. You will find real Cambodian food a step away without being ripped off like in Siem Reap. The forest surrounding the neighborhood is very beautiful. Bill and his family are great! The location is really good, 15 min by bike from Angkor Wat. The dinner with Bill's family was really nice and authentic food! He really tries his best to be helpful. Organizing tuktuk for the visits and at night and all! I highly recommend if you look for a guesthouse a bit outside the center, very authentic way of living! This place is in the countryside outside Siem Reap close to the Angkor area where local people live. There are chicken and dogs running around the area, so naturally it's early morning 🙂. In evenings you can hear local music from the neighborhood and monks singing/chanting in the mornings. The owner is exceptionally helpful and arranges everything you want to do, even shopping for you. The airport transfers is included in the price. The owner has a traditional "tuktuk" in which he takes you anywhere, we hired him every day for a day fee and he was always available waiting on a pree set point or with a phone call coming to our position. The owner was a great person...he helped us a lot. Phantastic location - 20 minutes bike drive from Angkor Wat. Very pleasant atmosphere - we felt like at home. We enjoyed tuktuk trips to Angkor area and to the city and free pick-up at arrival. Our stay culminated with excellent family dinner ("Cambodia pancake"), where we had chance to take a look into the real life in Cambodia. He provide us to rent a tuc-tuc to do Ankhor tours and all places we needed. A friendly family dinner. I really enjoyed the friendship that Bill and his wife, Dani, offered us. If something didn't work out for us during our trip, they would go out of their way to help us. For example, after one day of over priced tuctuc rides, Bill gave us a discounted tuctuc ride throughout Angkor Wat and to the night market (all day and into the night) which was much appreciated. The food and housing offered is typical for Cambodia. If you are looking for a more realistic- less touristic experience, Go with Bill. If you're looking for a cheap but comfortable stay, Go with Bill. 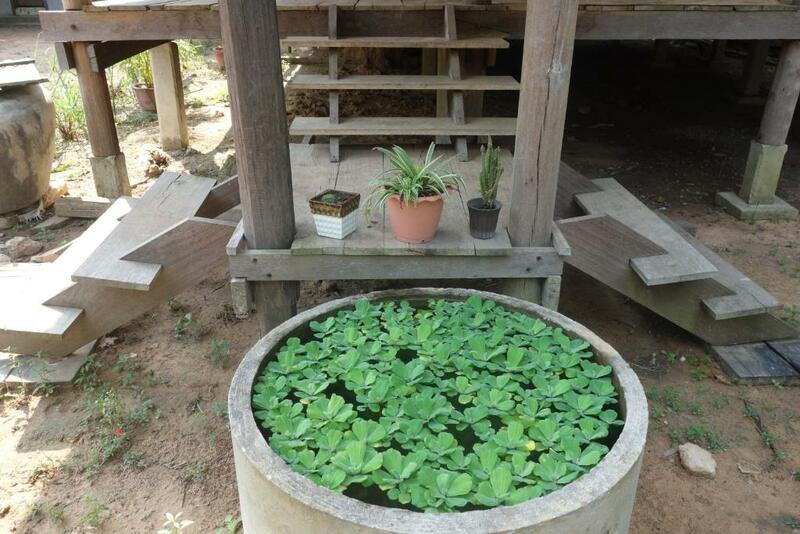 (Bill's Homestay is one of the closest places to stay to Angkor Wat). If you're looking for friendly service, good wifi and flexibility, Go with Bill. The Photo is of Bill and his tuctuc. 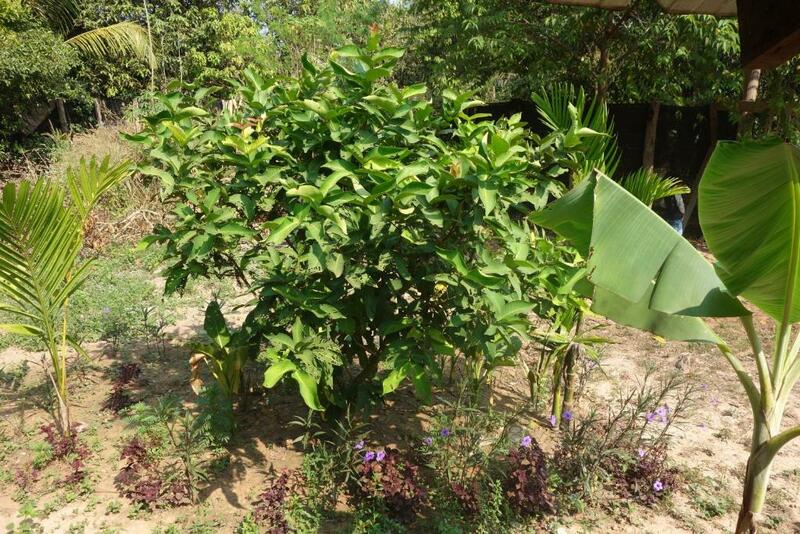 Lock in a great price for Authentic Cambodian Angkor Chalet – rated 8.7 by recent guests! Located 1.3 miles from Angkor Wat, Authentic Cambodian Angkor Chalet is in Siem Reap and features a garden and a terrace. It has a shared lounge, garden views and free WiFi. The vacation home also provides guests with a bathroom. The vacation home has a playground. Cycling can be enjoyed nearby and a bicycle rental service is available. King's Road Angkor is 3.6 miles from Authentic Cambodian. The nearest airport is Angkor International, 10 miles from the accommodation, and the property offers a free airport shuttle service. 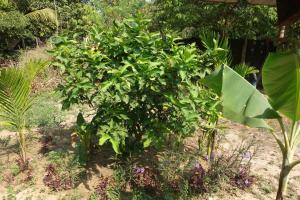 When would you like to stay at Authentic Cambodian Angkor Chalet? This wooden double room features a fan and a private balcony that opens up to views of the garden. The room comes with a shared bathroom. Free tuk tuk transfer to night market or pub street and free pickup service are provided if guests book 3 continuous nights or above. Free tuk tuk transfer to night market or pub street, free pickup and drop-off service are provided if guests book 4 continuous nights or above. A warmly Welcome to our family homestay. Our Home located best place in our local villager on the way to Angkor Wat, it is about 3km from Siem Reap city just 15mn drive and 10mn more you will reach Angkor Wat area. we have one Queen bed in the house it is good for a couple or family enjoy to stay including free pick up from airport or bus station.if you book for every night we offer can enjoy sharing and eat our local DINNER and we can enjoy together. i and my family hope all the customer happy to stay with our Home Stay Service.thank you. they are very friendly but some of them do not speak English and Angkor Wat Ticket Office is 1 km away. House Rules Authentic Cambodian Angkor Chalet takes special requests – add in the next step! Please inform Authentic Cambodian Angkor Chalet of your expected arrival time in advance. You can use the Special Requests box when booking, or contact the property directly using the contact details in your confirmation. Great location, authentic experience. Bill and his family were very welcoming. They organised airport transfers, bike hire, tickets etcetera..We ate delicious evening meals with Bill's family which I would highly recommend. Breakfast also very good. Communication with Bill prior to and during our stay was very easy. The water in the bathroom would pool and not dry. Everything was good! and it will get better soon, because Bill is making some facility improvements. I liked everything! It was so nice to get to know Bill and his family! Bill even arranged a private transfer from and to the airport, he invited me for breakfast and dinner every single day of my stay, he assisted me with local transportation to make my stay easier, he provided me drinking water (very important there), some bananas and coffee, he left me use his bike, he showed me the local market and good places to eat... If you want to experience the real Cambodian lifestyle, this is your place. (Bear in mind that the life standards may differ from your country of origin, but that makes your trip even more interesting!!) You will be able to discover a very friendly family. Additionally the location is excellent: just a few minutes from Angkor Wat by bike! !